I;ve seen alot of talk about protien powders etc in receipes that i want to try so i was just trying to find out what brands you buy etc cause i nevr never bought one before. I've only ever bought Meal replacement shakes but i'm assuming these are different maybe? I currently have some shakes in my cupboard if i can use them it would be good otherwise i will get rid of them. Re: What Brand do you buy? If I remember correctly, to be classified as a protein shake you need 70g protein per 100g, and less than 10g/100g of carbohydrates. Most meal replacement shakes do not fall into this category. I buy that one too Janene - easily found at Coles. I am also trying Sports Edge Whey - 77.8g protein 8.1g carbs - I found it in Chocolate. I use the same as Janene. As we didnt know which one to get and buy a full one is quite costly, we bought a ready made one, and taste tested it, then went back into the store and bought that brand. To me, it's very sweet but since I've been using it to make sweets, then I don't have to put in the yukky sugarless sugar syrup yukky yukky blah stuff. I threw some on the old Spec K today, was yummo. 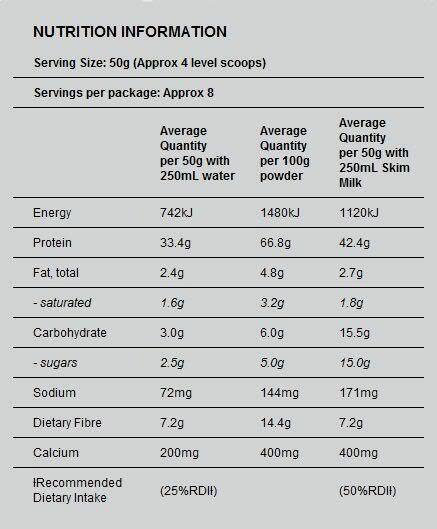 Just be careful with SLM - there are 3 versions and only one has high protein - the other two are meal replacements and do not fit the requirements for protein and carbs. stefenia wrote: Just be careful with SLM - there are 3 versions and only one has high protein - the other two are meal replacements and do not fit the requirements for protein and carbs. Absolutely, definitely read the label as Steph is spot on. The SLM one comes in a handy little "poppa" (not sure of the technical term for the lol) so you can throw one in your bag and have a ready to drink shake at any time. Very handy for travelling or the like.